A qualified plan established by employers to which eligible employees may make salary deferral/reduction contributions on a post-tax and/or pretax basis. Employers offering a 401(k) plan may make matching or non-elective contributions to the plan on behalf of eligible employees and may also add a profit-sharing feature to the plan. Earnings accrue on a tax-deferred basis. Should I offer a 401k plan? As a business owner, you know staying competitive is key to keeping as well as attracting good people. Offering a qualified retirement account such as a 401K is one way of getting that competitive advantage. Not only can the employee save for retirement, you as the business owner will be able to show that you care for your employees. Which plan is right for my company? What are the fees associated with the plan? What are the federal regulations associated with these type of plans? What are the tax advantages/disadvantages of having a retirement plan in place? 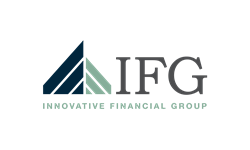 At Innovative Financial Group Atlanta, we will slow the process down and educate you on the options available and see what is the best plan for YOU and your company. If you have an existing plan in place, we will review the plan for fees, compliance (federal regulations), participation percentage and discuss results. Not only is it important to offer the right plan but making sure that your employees see the value being offered by you, the employer. Call for a complimentary conversation today.